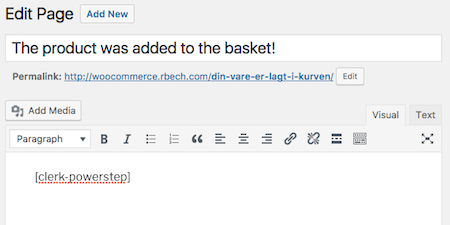 In the WooCommerce backend, go to Pages. In the top of the page, click Add New. Name the powerstep page something meaningful, like "Product added to the basket! ", as it will be displayed as the title on your powerstep. 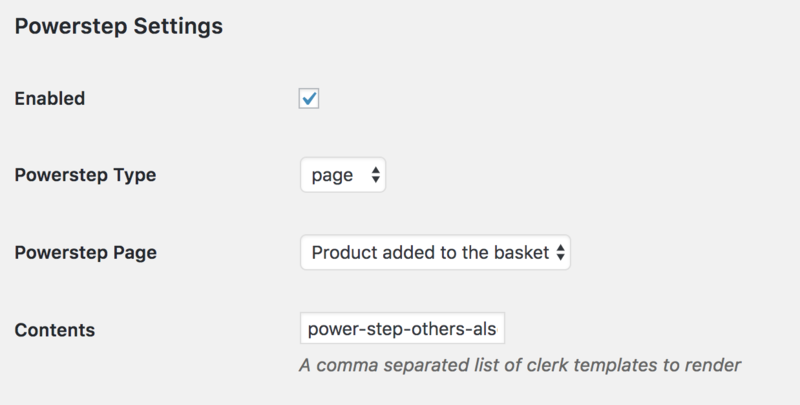 In the big text-field, type in [clerk-powerstep], and press Publish. 6. Go Clerk -> Clerk Settings in the sidemenu and find Powerstep Settings.